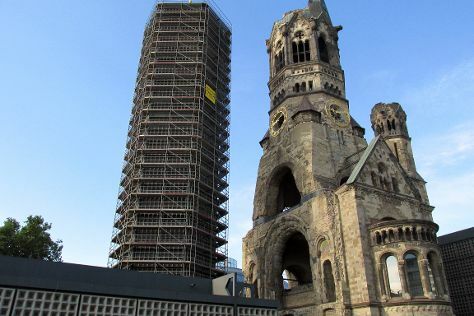 Appreciate the collections at Kunstspeicher Friedersdorf and Kaiser Wilhelm Memorial Church. Get in touch with nature at Spreewaldfahrt, Familie Goertz and Arnold Palmer Golfplatz. Change things up with these side-trips from Berlin: Werderaner Wachtelberg (in Werder upon Havel) and Alter Kornspeicher (in Straupitz). Next up on the itinerary: browse the range of quality goods at Kaufhaus des Westens (KaDeWe). For photos, traveler tips, ratings, and tourist information, read our Berlin trip planning app . If you are flying in from United Kingdom, the closest major airports are Berlin-Tegel Airport and Berlin-Schönefeld Airport. Finish your sightseeing early on the 8th (Sat) so you can travel back home.